January 27 -- Haranga Resources Limited ("the Company," ASX:HAR) is pleased to announce that its 80% owned Mongolian subsidiary, Haranga Khuder LLC, has entered into the Memorandum of Understanding (MOU) with Ulaanbaatar Railway ("UB Railway"), a Mongolian-Russian Joint Venture company which owns the Trans - Mongolian Railroad that connects Russia, Mongolia and China. Importantly, the MOU demonstrates UB Railway's support of the Company through the allocation of up to 1Mtpa of export rail capacity for iron concentrate from 2016 as the Company plans to commence mine operations at its Selenge Iron Ore Project ("the Project"). UB Railway will also support the Company in obtaining the necessary permits to build and operate new rail infrastructure including any rail spur track and loading and unloading facilities that will need to be constructed for the Project. The MOU serves as a necessary step along the development path for the Project as it also secures export rail capacity of more than 1Mtpa from 2020 as the Company's mine operation are forecast to ramp up. The MOU follows on from the previous MOU that was signed with the Mongolian Government Authorities in August 2012 demonstrating its support for the Project. January 27 (Proactive Investors) Aspire Mining (ASX:AKM) will work with a China Railways Construction Corporation subsidiary to complete the first stage of the Erdenet to Ovoot Rail Bankable Feasibility Study in Mongolia. This comprises desk top engineering of the entire 547 kilometre alignment based on 1:5000 scale maps currently being prepared and delivered by Aspire subsidiary Northern Railways. The agreement with China Railway 20 Bureau Group Corporation (CR20G) is a strong endorsement and vindication of the project given that its parent CRCC is a Fortune 500 company. The rail line is a key requirement to unlock the value of the Ovoot Coking Coal Project and future earnings from mining and production from the project for Aspire. Adding to the interest, Noble Group - Asia's largest diversified commodities trading company - retains an option to acquire 10% of Northern Railways and fund 10% of the rail development capital. The execution of the agreement follows the recent inclusion of the Northern Rail Line in the Mongolian Government's National Rail Policy, the inclusion of Phase 1 (Erdenet – Ovoot section) on the Concession List of approved projects, and the signing of an EPC Framework Agreement with CR20G. "Both Aspire and CR20G see the benefits of maintaining the recent momentum for the Erdenet to Ovoot railway," managing director David Paull said. "Commencing desktop engineering now will put Northern Railways into a better position to negotiate a Concession Agreement with the Mongolian Government and advance funding discussions." Preliminary work has commenced on the first 250 kilometres of maps and an initial payment of US$250,000 has been paid. Further payments will be conditional on Northern Railways receiving a rail concession and funding. The first stage work comprises desk top engineering for the entire alignment in order to provide additional project definition. Outputs will include a detailed bill of quantities, detailed construction schedule and a preliminary capital cost estimate. Post the granting of a Concession Agreement for the Erdenet – Ovoot railway, and given funding is in place, Northern Railways will look to commit to the balance of the Bankable Feasibility Study. The total cost to Northern Railways will be US$6.5 million (+ VAT) for both the First Stage and the Final Bankable Feasibility Study. CRCC has significant engineering and construction capabilities working on major projects including roads, highway, light and heavy rail, bridges, tunnels, housing and other projects both domestically in China and internationally. CR20G employs over 20,000 personnel and has significant international experience completing recent rail projects in Angola, Mongolia and Mozambique. In November 2014, Aspire reached a Framework Agreement with CR20G covering completion of engineering work over the Erdenet – Ovoot section of the Northern Rail Line. It also provides a basis for negotiations between Northern Railways and CR20G for the award of a fixed price, lump sum turnkey EPC Contract upon the satisfaction of certain conditions. In addition, CR20G will assist Northern Railways in sourcing project financing from Chinese and other financiers. The Ovoot Coking Coal Project in northwestern Mongolia has a JORC Resource of 255 million tonnes and is the country's second largest coking coal reserve behind the government-owned Tavan Tolgoi project. Initial production is estimated to commence in 2018, producing 5 million tonnes per annum of saleable coking coal and increasing in subsequent years to achieve full scale production of up to 10Mtpa from both the open pit and underground operations. Current offtake interest in Ovoot coking coal exceeds targeted production with MoUs signed for up to 7.4 million tonnes per annum, or 148% of planned initial production. It has also signed a non-binding MoU to sell up to 250,000 tonnes of oxidised coal per annum to Zavkhan Power Station about 70 kilometres south of Ovoot. This provides a potential revenue stream from a product that would otherwise have been considered a waste material. The MoU includes the construction of transmission infrastructure that will allow the supply of 35 megawatts of power per year to Ovoot. A recent study demonstrated that a blend of Ovoot coking coal with other selected Mongolian thermal and non-coking coals is ranked as a premium coking coal using Chinese coal classifications. This is considered to be similar or even better than primary coking coals imported from Australia, the U.S., and Canada due to its medium ash, low sulphur and high G value. The supply gap for primary coking coals in China is expected to peak at 83 million tonnes by 2020. The first stage Erdenet to Ovoot Rail Bankable Feasibility Study with CRCC places Aspire Mining in a better position to negotiate a Concession Agreement with the Mongolian Government and advance funding discussions. That China Railways Construction Corporation is a Fortune 500 company and one of the world's largest international rail engineering construction firms provides a strong endorsement and vindication of the project. January 28 -- Aspire Mining Limited (ASX: AKM, "Aspire", or the "Company") wishes to advise the resignation of Non-Executive Director, Mr Mark Read, from its Board on 27 January 2015. Mr Read was appointed in July 2011 and his contribution to the Board, as well as his involvement as Chair of the Remuneration Committee and member of the Audit and Risk Committee has been invaluable. Mr Read has resigned to pursue other interests. Aspire's Chairman, Mr David McSweeney said "We wish to take this opportunity to thank Mark for his involvement over the last three years and we wish him all the best". "There is currently no intention to replace Mark on the Board at this time, as we continue to focus on reducing overhead costs while progressing the future development of our rail and coal assets in Mongolia". January 28 (Stafford Daily) Turquoise Hill Resources Ltd (NYSE:TRQ) stated loss of 1,608,346 shares or 6.4% in the short interest. The short interest registered from 25,236,244 on December 31, 2014 to 23,627,898 on January 15, 2015. In terms of floated shares, the shorted positions stood at 2.6%. The stock has been averaging 3,030,760 shares daily in trading and would need 8 days to cover the shorts. Turquoise Hill Resources Ltd (NYSE:TRQ) rose 6.74% or 0.19 points in daily trade. The stock opened at $2.85 and increased volatility pushed the price to extremes of $3.025 and $2.75, before the session concluded the last trade at $3.01. The rising volatility also led to a sharp increase in volume which was recorded at 2,989,499 shares. The previous session of the stock had ended at $2.82. The yearly nadir of the share price is $2.65 and the yearly zenith is $4.36. The market cap of the scrip is $6,057 million and the company has 2,012,299,000 shares in free circulation. January 27 -- Guildford Coal Limited (ASX: GUF) (Guildford or the Company) is pleased to announce a partially underwritten pro rata renounceable entitlement offer on the basis of 1 new share for every 4.85 shares held at the Record Date at an issue price of $0.037 (Entitlement Offer). The offer price represents a discount of 2.63% compared to the closing price of Guildford's shares on the ASX on 2 January 2015 (being the last trading dare before the announcement of the proposal to make the Entitlement Offer) and a 3.92% discount compared to the 20 day volume weighted average price of Guildford's shares as at 2 January 2015 and a 2.78% premium to the last closing price of Guildford shares before the date of this announcement. The Offer Price represents a discount of 17% to the bottom of the range of value of a Guildford share on a minority interest basis determined by BDO Corporate Finance (QLD) Ltd in its Independent Expert's Report which was included in Guildford's Target Statement dated 24 December 2014. The net proceeds of the Entitlement Offer will be used to support the current ramp up of coal production at the BNU Mine to commercial production and for working capital purposes. Eligible Shareholders may choose to accept all, part or none of their Entitlements. Entitlements are renounceable, meaning that Eligible Shareholders who do not take up their Entitlements in full may be able to sell or transfer all or part of those Entitlements which they do not take up. The Entitlement Offer is partially underwritten by Maiora Asset Management Pte Ltd, a Singapore based asset manager and substantial shareholder in Guildford, and Auspicious Future Ventures Limited, a vehicle owned by The Hon Craig Wallace, a director of Guildford. No fees or commissions are payable to the underwriters, however Guildford will the reimburse the reasonable legal costs incurred by the underwriters in preparing the underwriting agreement. Guildford has prepared a prospectus explaining the Entitlement Offer in more detail (Prospectus). The Prospectus and personalised entitlement and acceptance forms will be mailed to Eligible Shareholders on Thursday, 5 February 2015. The Prospectus is also available on Guildford's website at www.guildfordcoal.com.au. The Prospectus contains important information with respect to the Entitlement Offer and should be read in its entirety before deciding whether or not to participate in the Entitlement Offer. The following timetable is indicative only. Subject to the Corporations Act 2001 (Cth) and the ASX Listing Rules, Guildford has the right to vary the dates of the Entitlement Offer, extend the Closing Date or withdraw the Entitlement Offer without prior notice. The commencement of quotation of new securities is subject to confirmation from the ASX. Attached are letters that will be sent to Eligible Shareholders and Ineligible Shareholders. January 28 (gogo.mn) Gatsuurt deposit discussions were held at the State Great Khural whether to include it into the strategic deposit list and the deposit was approved to be included in the list. During the Transparency and Mining briefing held by Ministry of Mining information session was conducted on Gatsuurt Deposit. Gatsuurt deposit proven reserves are at 50 tons of gold and profitable effect reserves are calculated to be 25 tons, which fully complies to requirements for Strategic Deposit. Mining license holder Centerra Gold LLC have got Gatsuurt Deposit Reserve Report approved in 2013 and Feasibility Study in 2014 by the Mineral Resources Council and the deposit is ready for the mining. The exploitation of this deposit will create over 1000 jobs, development of the infrastructure and is expected to accumulate MNT 660 billion at the state budget. Gold mined from this deposit if submitted to Bank of Mongolia, has potential to increase the Mongolian Treasure fund and have significant effect on balancing the exchange rates according to the Minister of Mining. January 28 (The Carlyle Group) Scotiabank upgraded shares of Centerra Gold (TSE:CG) from a sector perform rating to a sector outperform rating in a research note released on Monday morning. They currently have C$8.00 target price on the stock, up from their previous target price of C$7.00. Scotiabank has also modified their ratings on a number of other stocks in the few days. The firm downgraded shares of Canadian National Railway from an outperform rating to a sector perform rating. Also, Scotiabank reiterated its sector outperform rating on shares of Canadian Pacific Railway Limited. Finally, Scotiabank reiterated its sector outperform rating on shares of Pengrowth Energy Corp.
Centerra Gold (TSE:CG) opened at 7.39 on Monday. Centerra Gold has a 52-week low of $3.16 and a 52-week high of $7.58. The stock has a 50-day moving average of $6.17 and a 200-day moving average of $5.82. The company has a market cap of $1.747 billion and a price-to-earnings ratio of 22.03. Several other analysts have also recently commented on the stock. Analysts at HSBC lowered their price target on shares of Centerra Gold from C$8.50 to C$8.30 and set an overweight rating on the stock in a research note on Tuesday, January 20th. Analysts at BMO Capital Markets downgraded shares of Centerra Gold from an outperform rating to a market perform rating and lowered their price target for the stock from C$7.50 to C$7.00 in a research note on Monday, January 19th. Analysts at CIBC raised their price target on shares of Centerra Gold from C$6.00 to C$7.00 and gave the company a sector perform rating in a research note on Thursday, January 15th. Finally, analysts at RBC Capital raised their price target on shares of Centerra Gold from C$6.00 to C$6.50 and gave the company a sector perform rating in a research note on Thursday, January 8th. Four research analysts have rated the stock with a hold rating and two have issued a buy rating to the company. The stock has a consensus rating of Hold and an average target price of C$7.13. January 29 -- The Directors of Modun Resources Ltd (ASX: MOU) (Modun) provide you with an update of activities during the December 2014 quarter. On 24 November 2014, Modun announced the signing of a highly conditional agreement to sell 100% of the Nuurst Coal Project in Mongolia with a Mongolian based company (the Purchaser) for a total consideration of US$8,000,000. The key terms of the conditional agreement, require Modun to sell, and for the Purchaser (or nominee) to acquire, 100% of the issued share capital of Modun Resources LLC (Modun LLC) which owns 100% of the Nuurst Thermal Coal Project in Mongolia comprising Mongolian Mining License MV-017349 (2,497 hectares) and a novation to the Purchaser of 100% of the intercompany debt (Debt Novation) (Nuurst, or Project) in consideration of US$8m payable as to US$1,000,000 in cash and US$7,000,000 in deferred (royalty) payments, paid on the basis of $0.50 per tonne for the first 14 millions tonnes of coal extracted and sold by the Purchaser (the Agreement). During the quarter, Modun has worked with the Purchaser to provide them with the necessary information they require to complete due diligence on Modun LLC and this process remains ongoing. Modun also held further discussions with the relevant authorities in relation to its dispute with the Mongolian Tax Authority for additional withholding tax to be paid as a result of the acquisition of the Nuurst Licence in 2011. Modun continues to believe that no additional withholding tax is required to be paid and is defending its position. Modun continues to investigate new opportunities to diversify the into technology sector via the acquisition of a technology business to drive shareholder value. This process remains on-going At the end of the quarter, Modun had cash reserves of $1,384,000. January 27 -- During the three months to 31 December, 2014, Perth-based Viking Mines Ltd (Viking or the Company, ASX:VKA) successfully completed its first drilling program at the Berkh Uul coal project in Mongolia. The results from the Berkh Uul drilling has confirmed both the thickness and quality of the coal seams as indicated in historic drilling, and has extended the deposit 1.5km to the south of previous drilling. Coal was intersected at shallow depths of less than 80 metres in 17 of the 18 holes drilled. In addition the Company advanced the Akoase gold project in Ghana by undertaking a soil sampling program on the Akoase West tenement. The results from the Akoase West infill soil sampling have confirmed two broader parallel anomalies of 2.5 and 1.4 km strike length and >50ppb Au, interpreted to be related to a major NE-SW fault structure and/or granite contact. These anomalies represent excellent drill targets for future exploration. Viking's first drilling program at the Berkh Uul coal project was successfully completed and results received prior to the onset of the winter field season recess. The drilling program, designed to infill and extend the existing drill coverage, commenced in the northeast of the licence area where there is pre-existing drilling within the confines of the current 38Mt resource. The drilling progressed to the south, targeting extensions to the deposit to add to the current resource. A total of 1,064.5 metres were drilled in 18 holes (Table 1). The drilling tested the near surface (top 60m) shallow west dipping eastern limb of a broad south plunging synclinal structure, in which two main coal seams (Seams 1 and 2) are located. Holes were drilled using PCD open hole precollars, with PQ size diamond core tails through the coal bearing zones, on a nominal 500m line spacing (Figure 4). Note that the sampling of drill core was selective in that no inter-seam waste was sampled or analysed, with a minimum coal sampling interval of 0.2m and maximum of 2m down hole. · CV's in the range 6,000-7,000 kcal/kg on an air dried basis. These positive results indicate that the quality of the coal is comparable or better compared to the historical drilling data, notwithstanding differences in the analytical methods and techniques performed. The drilling program has also extended the coal seams for a further 1,500m to the south. Of particular interest are holes BU-14-14 and 15, drilled 500 metres south of the limit of previous drilling, which intersected 7m and 9m true thickness respectively of coal at a depth of less than 80m. These are the thickest intersections of coal recorded thus far in drilling on the project. This first drilling program at the Berkh Uul project by Viking has confirmed both the thickness and quality of the coal seams as indicated in historic drilling, and has extended the deposit 1.5km to the south of previous drilling. Coal was intersected at shallow depth of less than 80 metres in 17 of the 18 holes drilled, and further work is clearly justified to advance the project towards development. As part of the requirement for a mining lease approval, a Baseline Environmental Survey for the Berkh Uul area was completed by Ulaanbaatar based Sustainable Environmental Consulting LLC during the quarter. Engagement of specialist consultants to address other aspects of the mining lease approval process is currently being implemented. During the quarter the Company closed its prospectus offering. A total of $2.177 million was raised. Also during the quarter the Company issued all shares and options relating to the successful takeover of Auminco Mines Ltd. The Company now has 250,974,285 shares (ASX:VKA) on issue with a further 44,771,552 April 2017 quoted options (ASX:VKAO) on issue. Following the completion of the takeover of Auminco Mines Limited Mr Ray Whitten has been appointed as a non-executive director to Viking. Mr Whitten is an admitted solicitor with over 40 years' experience having previously acted as President of the City of Sydney Law Society and has served as a Director of many private and public companies. Mr Whitten holds a Bachelor of Arts and Bachelor of Laws from the University of Sydney, a Masters of Laws from the University of Technology, Sydney, is an accredited specialist in business law and is a Notary Public. Concurrently, founding director Mr Trygve Kroepelien resigned as a director of the Company. As announced on 29 October 2014, Eumeralla Resources Ltd's 70% controlled Myanmar subsidiary, Mawsaki Mining Co., Ltd, received State Government approval for its exploration permit in the State of Kayah. The approval comes after successful negotiations with the Office of Chief Minister, Kayah State, State Minister, Ministry of Forest and Mines, both the State Forest Department and State Land Records Department in Loikaw and Office of Township Administration, Hpa-hsaung. The approval was ratified by a Kayah State Government Cabinet resolution. The approval allows the Company to now agree the exploration terms with the Department of Geological Survey and Mineral Exploration (DGSE). This process will include commissioning of an Environmental Management Plan (EMP) for approval by DGSE along with a detailed Works Program and Budget. Once the exploration license terms are approved by the DGSE, Auditor Generals office and the Attorney Generals office it clears the way for the Company to seek National approval from the Myanmar Ministry of Mines and granting of the exploration license. Subsequent to the end of the quarter, the Company held meetings with DGSE to discuss and commence negotiating the terms of the exploration licence. In July 2014 the Company engaged Lunda LLC (Lunda) to perform an IP/Res Gradient Survey. Lunda have performed the IP/Res Gradient Survey and are in the process of preparing a report to be submitted to the Mineral Resources Authority (MRAM) of Mongolia. On 1 October 2014 Mr David Wheeler was appointed as a non-Executive Director. · as economist, I view that tax issue is dispute between enterprises and citizens. There is international practice that such disputes are resolved through arbitration. If it is viewed that there is a case of large tax evasion, then it is issue of responsible party, SouthGobi Sands company. So, it is not a case of a person called Justin Kapla. Moreover, it is not a reason to violate someone's human rights. · tax evasion is not criminal case. I have just participated in even two international UN investment and trade conferences. I have reported on investment and trade in Mongolia and replied to queries of foreign representatives. American and European representatives have been criticising the way disputes between Mongolian enterprises and citizens are handled. 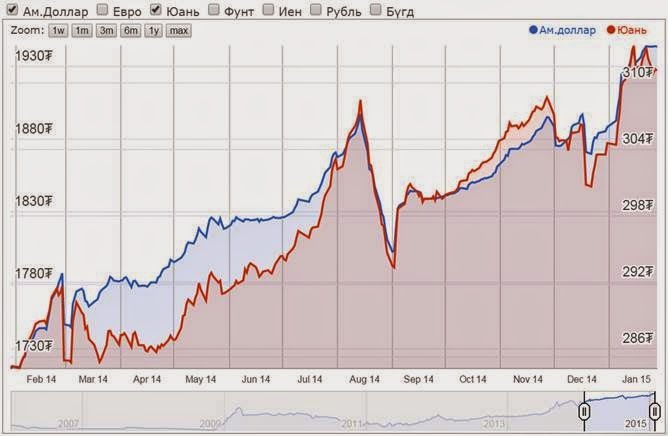 If in future such treatment of investors will continue, investment will not come into Mongolia. Businessmen will stop coming and doing business in Mongolia. We should play by international rules using as model other countries. · International model is that in such disputes independent, not influenced audit must be done. If by audit conclusion tax evasion is proven, there should be negotiations with the company. In fact, it is not required to take a private person into some form of custody. · it is not necessary to impose travel ban in such case. Instead, company's property or shares can be sold and funds can be taken. It is indeed case of an enterprise, an organisation, not a matter to violate human right. This is very uncivilised , unacceptable violation of human rights. This looks like very backward dictatorship, a measure from medieval time. We must quit being so uncivilised. · I don't know whether independent and uninfluenced audit is done or not. If it is true that audit is not done , it would be unfortunate. · there are no international rules to close bank account of investor. If you remember, two three years ago our taxation representatives closed account of Oyu Tolgoi company. Because of that reputation of Mongolia dropped in world market. Accounts of investors must not be closed. International model is that, if there is a debt, statements are delivered to pay the debt. Indeed, there is no other country other then us, where accounts are closed wilfully. · Indeed, for example, condition of investment account to be opened abroad is proposed by investors in project financing for Stage II of Oyu Tolgoi. It is hard for us to resist that. Because we ourselves have practice of entering private account without asking and closing it. · Because of such incidents we are sending very bad message to international market. Indeed, Justin Kapla is not responsible party. Because this person is chief executive officer, he has no power whatsoever. He is just a paid worker. Persons who prepared financial documents to him were always Mongolian company officers. They have no relation whatsoever to this case. Perhaps Justin Kapla just signed on documents they have prepared. It was only six months after he got the job. Yet I heard that case is being opened concluding three years of operations. This is also one of hard to understand matters. If there is dispute of many billion tugrugs, and conclusion is that taxes are owed to Mongolia, the company is declared. It is unacceptable to violate human rights in this case. 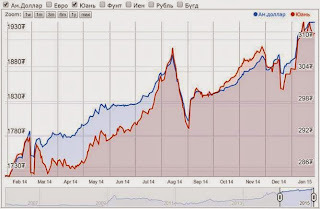 · It has become necessary for Parliament, Government and President to treat investment in very different way. If we will have such practice, it would not be necessary for us to dream about development . This is feature of becoming most backward country. To my knowledge, there is no other country as ours, where investors are treated in this way. I have been researching international financial market for 30 years. · If it is not done, independent audit should be done. If tax evasion is proven, as I said before, negotiations with the company should be done. There is no need to talk to a person called Justin. Violation to rights of living and working of private individual is not a standard of democratic country. We are playing by rules of country of medieval regime with strictest oppression. Criminal cases cannot be filed against investors and they cannot be oppressed in this way on every dispute. Reference: Website of " Udriin Sonin" Daily. Ulaanbaatar, January 28 (MONTSAME) At the Stock Exchange trades on Wednesday, a total of 4,853 units of 25 JSCs were traded costing MNT 22 million 240 thousand and 914.00. "APU" /2,796 units/, "Bayalag nalaikh" /1,000 units/, "Makh impex" /370 units/, "Material impex" /106 units/ and "Gobi" /104 units/ were the most actively traded in terms of trading volume, in terms of trading value were "APU" (MNT nine million 798 thousand and 100), "Material impex" (MNT one million and 547 thousand), "Makh impex" (MNT one million 239 thousand and 500), "UB-BUK" (MNT one million and 093 thousand) and "Gobi" (MNT 748 thousand and 800). The total market capitalization was set at MNT one trillion 378 billion 115 million 129 thousand and 481. The Index of Top-20 JSCs was 14,316.43, decreasing 99.97 units or 0.69% against the previous day. *Coupon of Government Securities will be determined within 365 days. January 28 (Bank of Mongolia) Auction for 5 years maturity Government Bond was announced at face value of 5 billion MNT and each unit was worth 1 million MNT. Government Bond was not sold due to absence of both competitive and non-competitive bids. January 28 (Bank of Mongolia) Auction for 52 weeks maturity Government Treasury bill was announced at face value of 40.0 billion MNT. Face value of 30.0 billion MNT /out of 30.0 billion MNT bid/ Government Treasury bill was sold at discounted price and with weighted average yield of 16.223%. January 26 (Oxford Business Group) Falling mineral prices and a tapering of foreign investment resulted in slower economic growth in Mongolia in 2014. However, a commitment by the recently installed coalition government to clear bottlenecks in the investment pipeline and cut spending could see lower deficit levels and greater foreign interest in development projects in the year ahead. The country finished the year with a broad-based coalition and a new Prime Minister, as Ch. Saikhanbileg replaced N. Altankhuyag in November. The incoming leader inherited a far more sluggish economy than his predecessor, with growth, confidence and foreign investment all lower year-on-year (y-o-y), as falling demand for minerals dragged on exports and earnings. Weak demand for Mongolian commodities from its main export market, China, also took its toll during the year. However, one bright spot was an increase in exports of copper concentrate due to a ramp up in operations at the Oyu Tolgoi mine over the course of the year. The total figure rose to $2.3bn in the first 11 months of 2014 from $851m in the same period y-o-y according to official data. Coal exports rose to 16.9m tonnes compared to 16.1m tonnes y-o-y; however this was offset by a steep decline in prices, with the value of coal exports falling to $760.1m from $1b a year earlier. With the value of exports still well below their peak of a few years ago, the World Bank cut its 2014 GDP growth forecast from 9.5% to just over 6%. Growth slowed to an annualised 7% in the first nine months of 2014, well below the 12.8% witnessed the previous year. Growth projections for 2015 have also been revised downwards, from 8.8% to 6.2%. Weaker foreign investment inflows were largely a result of an economic slowdown and a drop in global commodity prices. In the first nine months of the year, foreign direct investment (FDI) amounted to $647.5m, less than one-fifth the level seen in 2012. Investment fell 64% y-o-y in the January to May period alone. However, efforts are underway to increase FDI through the easing of investment regulations and opening of new and previously cancelled or deferred exploration tenders. A further boost to foreign investment could come in the wake of deals struck with China and Russia in late 2014 that have the potential to increase trade and promote greater investment in transport, infrastructure and industry. Trade with both Russia and China is pencilled to reach $10bn under the initial outlines, facilitated in part by extensive investments in the Mongolian rail network, giving the country access to wider markets. On the horizon for 2015, the new government must conclude an international tender it has relaunched to develop Erdenes Tavan Tolgoi, the country's largest coal deposit, after the previous tender collapsed in 2011. At the same time, the authorities have on their agenda to resolve a dispute with mining giant Rio Tinto over a $5bn expansion of the Oyu Tolgoi copper mine. According to some estimates, a fully operational Oyu Tolgoi mine could contribute up to one-third of GDP. As such, clearing the way for the second stage of its development, as well as facilitating the roll out of new projects, will likely top the agenda in 2015. The new government is taking steps to cut spending ahead of what could be a more austere year. In late December, it announced plans to trim the already approved 2015 budget to curb spending and reduce the deficit. The proposed measures include reducing bonuses to state employees and downsizing government ministries by 15%, as well as redefining public spending programmes to make child welfare needs-based and to award student grants on merit. Revenues will also be buoyed by a broader tax base, now set to include many in the rural community – herders in particular – who were previously exempt from levies. The amendments to the budget will cut at least MNT100bn ($60m) from the projected deficit of MNT439.2bn ($263.5m). The Mongolian economy may also benefit from lower oil prices during the year, as it relies on imports to meet 90% of its oil needs. Although this will help to curb expenditures, the savings are unlikely to offset lost revenue from lower commodity prices. Furthermore, some gains will be cannibalised by the devaluation of the tugrik, which has lost about a quarter of its value against the US dollar since the start of 2013. Lower oil prices could also come with a downside. Cheaper imported hydrocarbons may dampen investor enthusiasm for the development of domestic oil reserves in the short to medium term, as well as the country's oil shale deposits – estimated at more than 700bn tonnes. January 29 (Bloomberg) -- Prime Minister Saikhanbileg Chimed wants a text message from Mongolia's 3 million citizens about how to rescue the economy. Two months after winning office, Saikhanbileg, 46, took to national television on Wednesday to tell viewers they have a choice. He explained the economy is slumping along with foreign investment, so they have to decide if belt-tightening is the way forward or should the country invest its way out of trouble? The prime minister -- a weight lifter who bench-presses 175 kilograms -- invited citizens to send text messages over four days starting Saturday on what they prefer to do. Choice A: Forge ahead with multibillion dollar mining projects. Choice B: Cut spending and scale back. "The two choices cut to the chase, prosperity or austerity? Citizens globally rarely, if ever, choose austerity," Nick Cousyn, chief operating officer for BDSec, Mongolia's largest brokerage, said by e-mail. Mongolia's economy, which is dependent on mineral exports such as copper and coal, slowed from a record 17.5 percent in 2011 to around 7 percent last year. Much of the slowdown is due to a collapse in investment, highlighted by a dispute with Rio Tinto Group, the country's biggest foreign investor, over financing for the $6.6 billion Oyu Tolgoi mine, one of the world's largest copper and gold deposits. The currency, the tugrik, has fallen 42 percent against the dollar over the past three years. Saikhanbileg's approach of democracy-by-text-message is an attempt to end an impasse in the country that has pitted politicians who claim foreigners are pillaging the nation's mineral wealth against those who say overseas investment is needed for growth. "The Mongolian people need to decide whether they want foreign direct investment or not," said Dale Choi, head of Independent Mongolian Metals & Mining Research. The Prime Minister is acknowledging he needs the public mandate to break the current stalemate, which is caused by a large group of decision makers, Choi said. "I give him credit for going to the public because the one thing that all these people will listen to is the public opinion." Cousyn called the move "unconventional" while adding that it is an "excellent way to bring closure to the process." The dispute between the government and Rio Tinto has dragged on for two years as the two sides bicker over terms of a $4.2 billion project finance package to fund the underground development of the mine. "This is a democratic way to remove the political liabilities associated with the controversy of large projects like OT," said Cousyn. Ulaanbaatar, Jan 28 (gogo.mn) President of Mongolian Olympic Committee (MOC) D.Zagdsuren made an announcement today in reply for the requests from Sports Federation Leaders to resign from the post. 3. Conviction of imprisonment for 3 years and deprivation of rights from the post for 2 years due to the abuse of the power and illegal transfer of the land under MOC to Niislel Urgoo LLC, which was pardoned in accordance with Pardon Bill of 2009. Further he acknowledged that it was his fault that he overlooked the transfer of land issue to go through the Executive Council and the land has been transferred back under MOC with court ruling. Also he denied claims that IOC allocates USD 200,000 every month to MOC, as the annual allocation from IOC equals to USD 300,000, which are directed to fund the administrative costs, projects and programs. We clarified on the following issues from President of MOC D.Zagdsuren. Leaders of Sports Federations have signed a petition for the President. What are your stances on this matter? Most of the Sports Federations out of 19 that have signed on the petition are not members of MOC, therefore their petition is not valid. They were claiming that there are no ethical grounds for you to lead the MOC? In the MOC rule there is not provision that limits convicted individuals to hold managing position. Last year IOC investigated on this matter and came up with conclusion that it doesn't contradict any IOC rules. This is I believe the final conclusion. Do you suspect any conflict of interest or fabricated rumors behind the representatives of the Sports Federations? January 28 (infomongolia.com) The "Coal Mongolia" an International Conference and Exhibition for Coal Investors has been expanding rapidly every year and this year's edition is being hosted with the support of the Government of Mongolia, which is scheduled to take place at the "SS" Convention Center in Ulaanbaatar on April 09-10, 2015. The primary objective of this event is to bring international investors into the coal sector of Mongolia; to introduce the most advanced, environmentally friendly technologies in coal mining sector; to create a mutually beneficial partnership that will strengthen Mongolia's competitiveness in Asian region. This year's "COAL MONGOLIA-2015" International Conference and Exhibition is celebrating its 5th anniversary and commemorates the 5th edition of the first international IPO that attracted the first investment in coal sector. www.InfoMongolia.com has been actively collaborating with organizers of this international event as a local media partner and for more information please visit www.coalmongolia.mn. ULAANBAATAR, Mongolia, January 21 -- The American Chamber of Commerce (AmCham) in Mongolia, with the support of the USAID-funded Business Plus Initiative (BPI) project released the results of a national public opinion survey titled, "Nationwide Survey Results on Mongolian Business Environment." The survey was conducted in late November 2014 by the Sant Maral Foundation in Ulaanbaatar and is a national representative sample of 1500 adult Mongolian citizens. This survey aims to provide a better understanding of public perceptions toward the economy, business, foreign investment, and politics in Mongolia. The survey findings underscore the overall negative perception of the business environment in Mongolia, provide insights that Mongolians predominantly regard the U.S. as its Third Neighbor and believe that the U.S.-Mongolia commercial relationship has significant potential, and recommend measures that need to be taken to improve confidence in Mongolia's economy. Moreover, the survey reveals that the economy, unemployment, and corruption are the paramount concerns of Mongolians. 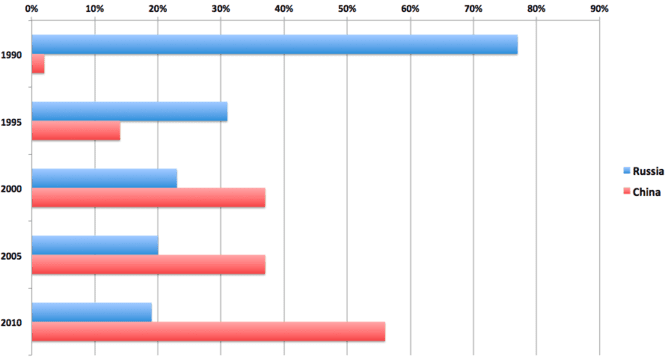 Almost half of the respondents believe that the country is going in the wrong direction. Two thirds of the people are assessing the current business environment negatively and only a fifth of respondents think that the economy will improve in the next six months. In addition, more than half of the population views instability – as measured by macroeconomic instability, inflation, high fiscal deficits and high foreign debt – as the main obstacle to business development in the near future. The survey also shows a strong support on the part of Mongolian population for the Government promotion and facilitation of foreign investment. AmCham Mongolia encourages bold action by the Mongolian Government to restore confidence and improve the conditions for accelerated and inclusive growth. Jackson Cox, Chairman of AmCham Mongolia, said, "We are happy that the survey data show the broad recognition by the Mongolian public that American companies offer the best quality, management, and community partnerships. Yet, Mongolians also have little knowledge about specific American businesses operating in Mongolia today, which demonstrates that we have a lot of work to do to better promote the American companies that are working in Mongolia and also advocate for greater commerce between the United States and Mongolia." · 40,3 thousand tons of fodder. · 6,4 centners of oil crop. As a result of the subsidies policy started back in 2007 for the quality grain supplies for the domestic flour producers six years in a row the crop harvest have been increasing, leading to the improvement in soil processing, fertilization and technical equipment supply. Cabinet session has decided to subsidize every ton of grain supplied to the Crop Development Fund with MNT 70,000 for this year on January 26th. December 4 -- Ard Financial Group (Ard Holdings)'s shareholders discussed several issues raised by the Board of Directors at its extraordinary shareholders meeting held on 3rd of December, 2014. Participating shareholders unanimously approved a motion to register Ard Holdings as a Closed Joint Stock Company (CJSC) at the Mongolian Securities Clearing House and Central Depository according to the Law on Securities. This move positions Ard Holdings within a striking distance towards public listing at the Mongolian Stock Exchange. Ard Holdings will now work to get necessary regulatory approvals from the Financial Regulatory Committee. Ard Holdings' shareholders also decided to establish an investment fund management company in accordance with the Investment Fund Law of Mongolia, which came into effect in 2014. This will enable Ard to pull its non-strategic financial investments in the private equity fund and attract sector specific investors. Shareholders also resolved to appoint Mr. Anthony Hobrow, of the Dutch VenturesOne BV and Ms. Bolormaa Batbold, of InterGroup International to the Board of Directors. We welcome these new directors onboard. Ard Financial Group is an investment holding company with a primary objective of maximizing value and return to its shareholders, while offering a unique opportunity to participate in the growth of the Mongolian financial services industry and capital markets. The investment portfolio of Ard Holdings includes the country's leading financial services companies such as Ard Insurance, Ard Credit, Monet Capital, Ard Assets, TenGer Financial Group or XacBank. The Company is also invested in the Institute of Engineering and Technology, Nomyn Hishig, Wild Digital Agency and TenGer Systems. Ard Holdings actively participates in the management of its portfolio companies and creates synergies across the Group. Currently over 330 individuals and businesses own shares in Ard Holdings. January 29 (MIBG) Mongolia's extreme weather conditions can range from 30C during the summer months and fall as low as -45C during the long winter. The dramatic change in temperature across seasons has resulted in a number of negative developments. Including social, economic, and environmental challenges that the Government and the people of Mongolia are now desperate to change. The most noticeable implications of Mongolia's harsh environment are the changing dynamics of Ulaanbaatar during the long winter. Starting in October and lasting well into the second quarter, Ulaanbaatar is the coldest capital city in the world. A less celebrated fact is that Ulaanbaatar is one of the most polluted cities in the world. Following a World Bank report, Ulaanbaatar was named the second most polluted city in the world on an annualized basis - second only to an industrial city in rural Iran. Home to nearly 50% of Mongolia's population, Ulaanbaatar is the economic, social and political hub of the entire nation. Originally designed for a population of 400,000 residents it now claims approximately 1.3 million citizens within its limits. Much of this growth has taken place in the last 50 years, the result of several nation wide emigrations due to difficult winter conditions, forcing the traditional herding population to seek alternative sources of economic means. Recent reports have suggested that a US$28 billion modernization of Ulaanbaatar is in the near future. This remarkable figure underlines the vast opportunities that are available in Ulaanbaatar's real estate, infrastructure and utilities sectors. There are a number of companies that have positioned themselves to participate and benefit from such redevelopment plans, and we agree with their general thesis. Ulaanbaatar will need to modernize and at the heart of this modernization will be the redevelopment of basic infrastructure and housing, targeting the lower and middle tiers of Mongolian society. This would likely involve a complete reconstruction of Ulaanbaatar's "ger" districts, representing 60% of the total Ulaanbaatar population. This will require an extremely well calculated and coordinated effort, involving all levels of Government and industry. The Ulaanbaatar master plan was initiated in February 2013, including designs and strategies for the redevelopment of the capital. The major focus of the planning unsurprisingly was the redevelopment of the ger districts and how the Government could improve the quality of living for the largest segment of Ulaanbaatar's population. To this end, the Government is aiming to move 70% of the city's ger district families into modern flats by 2030. The estimated cost of this plan is 54.3tn Mongolian tugrik ($28bn). The cost would consist of improving the ger districts by either providing these people with the connection to central heating through running hot water or through land-swap agreements and turning currently occupied land into apartment buildings where residents would have title to one of the new apartments. This plan is also expected to contain construction of 10 regional towns, 3 satellite cities and a 170km railway, airport and an improved transit system. US$28 billion is a large investment, one that the people of Mongolia would have struggled to comprehend only 25 years ago under socialist rule. Today, the Government is still attempting to come to terms with Rio Tinto over the second phase development of the Oyu Tolgoi copper project, a development priced at US$4 billion – a far cry from the proposed US$28 billion redevelopment of Ulaanbaatar. While we believe that the redevelopment plan has incredible merit and is a necessary step forward for the people of Ulaanbaatar we do feel that the Government currently lacks the professional capacity to orchestrate and deploy such a large investment. Further challenging the launch of such a redevelopment will be the current economic conditions facing Mongolia, the devaluation of the Mongolian tugrik, and the fall in key commodities prices including copper and coal. Needless to say, it is a wonderful plan that outlines very important initiatives that need to be undertaken by the Government. If and when the plan gets underway it will likely be done in staged developments and will see more reasonable levels of investment coming into the local economy at any one time – never the less, it will certainly bring opportunities and provide a fundamental shift in the quality of life for the citizens of Ulaanbaatar. January 28 (gogo.mn) It is almost a tradition that Ulaanbaatar city traffic jams increase. There are over 340 thousand vehicles registered, which is the 69 percent of the total vehicles registered nationwide in Mongolia. Moreover, traffic in and out of the city counts to 30,000 during Tsagaan Sar days from the countryside. If no regulations are made there is high potential for increased traffic jams in the Ulaanbaatar city, locking the vehicles on the roads for several hours. Following vehicle regulation is to be done during the Tsagaan Sar period based on the license place numbers. · Vehicles with license plate numbers ending with 0, 2, 4, 6, 8 are available on Saturdays of January 31st, February 7th and 14th from 10AM to 8PM. · Vehicles with license plate numbers ending with 1, 3, 5, 7, 9 are available on Sundays of February 1st, 8th and 15th from 10AM to 8PM. - In Chingeltei District road leading north from the SE junction of Khuchit Shonkhor market all the way to the Flood Dam junction, road leading east from the Flood Dam to Sudalt Center are to be regulated as one way from 8AM to 17PM. - At the bigger markets additional traffic regulative staff to be appointed at the parking lots in accordance with the MOU with UB city Mayor's Office. - To reduce the traffic load vehicles with over 5tons of weight are to be restricted from 7AM to 10 PM on the south road leading from Chuluun Ovoot to Narantuul market. January 28 (infomongolia.com) On January 27, 2015, Minister of Defense Ts.Tsolmon received in his office the Ambassador Extraordinary and Plenipotentiary of the Federal Republic of Germany to Mongolia, Gerhard Thiedemann. During the meeting, parties emphasized on broadening collaboration in the defense sector and exchanged views on further cooperation issues and its future development tendencies. Also, sides noted that in the frameworks of celebrating the 40th anniversary of the establishment of diplomatic relations between Mongolia and Germany marked in 2014, several measures were organized in defense sector and one of them was hosting a joint military exercises in Afghanistan to support peacekeeping operations that proves how the partnership in the defense sector reached top level. Moreover, they also underlined that the cooperation in military sphere keeps a strong position between the two countries and expressed their interests to deepen and continue the collaboration. Since 2009, Mongolia and Germany have been jointly serving in peacekeeping operations in Afghanistan and since then all-level reciprocal visits, consultative meetings, staff trainings and field practices have been conducted. Ulaanbaatar, January 28 (MONTSAME) The Vice Minister of Foreign Affairs N.Oyundari Wednesday received Mr Murat Karagoz, the Ambassador Extraordinary and Plenipotentiary of the Republic of Turkey to Mongolia. The sides have exchanged views on a present situation of the bilateral relations and cooperation, and a further development. They also talked about implementing a visit of the Mongolia's Premier to Turkey and co-organizing a meeting of the intergovernmental committee for the trade and economy and a regular political consultative meeting between the Ministries of Foreign Affairs in Ulaanbaatar. Mentioning that the Mongolia-Turkey cooperation has been boosting in the education sector, the Vice Minister underlined an importance of seeking an opportunity to deepen the bilateral trade and economic cooperation. Then Ms Oyundari put forward proposals to the Turkish side to update credit terms of soft-loans to be granted from the Turkey's government and to collaborate in realizing the biggest projects within the Turkish International Cooperation and Development Agency (TIKA). This latest part of our series on Russia's relations with its neighbours focuses on the huge empty land of Mongolia, Moscow's original Soviet satellite state in the 1920s. These days it sits on the verge of a mineral mining boom for anyone who can reach a deal with the government. With Western investments in doubt, David Sneath explains that Putin has been renewing old ties. January 27 (The Conversation) Mongolia owes its political sovereignty to Russia. Despite some bitter memories of the Soviet era, Mongolians have not forgotten this fact. In 1911, as the Qing empire that ruled China collapsed, the "outer" portion of Mongolia declared independence with Tsarist Russian support. or "living Buddha of Urga [latterday Ulaanbataar]", but in 1919 the capital was occupied by the Chinese warlord Xu Shuzheng. In 1920 the Russian civil war spilled over into Mongolia when a White Russian army led by the "mad baron" Ungern Sternberg attacked the Chinese, taking the capital from them the following spring. The Soviets reacted by sending troops in support of Mongolian revolutionaries to oust Sternberg the same year. After the Bogd Khaan died in 1924, they established the first Soviet satellite state – the Mongolian People's Republic. For much of the 20th century Mongolia developed along Soviet lines. A Cyrillic alphabet was introduced and Russian was widely taught as a foreign language. Much of the elite went to university in the USSR or other Comecon countries. Mongolia's domestic politics mirrored that of its Soviet Big Brother. The 1930s saw purges, mass executions and the ruthless centralisation of power by "Mongolia's Stalin," Marshal Khorloogiin Choibalsan. In 1939 a Japanese invasion was repulsed by a combined Soviet–Mongolian army led by the celebrated Russian general Georgy Zhukov, a victory that is commemorated to this day. In 1952 Choibalsan was succeeded by the Russophilic Yumaagiin Tsedenbal, whose wife was Russian, and who followed Khrushchev in criticising his predecessor's "cult of personality". Relations with communist China were good until the Sino-Soviet splitof the 1960s saw Mongolia side with Russia. This led to an intensification of anti-Chinese sentiment and the return of Soviet troops. Mongolia subsequently became entirely dependent on the USSR and Comecon for large-scale investment in urban centres, public services and industry, but it was not disappointed. Industry was developed, including the huge joint Russian-Mongolian copper mine of Erdenet, and national annual income grew at around 5%-6% in the 1970s and 1980s. In the Gorbachev era, Tsedenbal was succeeded by the reform-minded Jambyn Batmönkh, who launched his own versions of glasnost and perestroika. Reform led to the remarkable bloodless revolution of 1990 in which the ruling party simply resigned in the face of peaceful protest and introduced a multi-party parliamentary democracy. But the USSR had supported Mongolia's economy with a subsidy estimated at 37% of the county's GDP. As the Soviet system collapsed, Russia withdrew both its troops and its economic support. A "shock therapy" campaign of privatisation saw most people lose out to a small rich elite as Mongolia was flung into a deep economic crisis. Incomes collapsed and unemployment soared. The 1990s saw a political and public move away from Russia. The state turned to nationalism, which had been carefully regulated in the Soviet period, to create a new populist politics in the wake of the collapse of Marxist-Leninism. The imperial heritage of the great 13th-century conqueror Chinggis Khan was glorified to an extent impossible in the Soviet period, since in Russian history he was seen as the notorious architect of the "Mongol yoke" of tartar rule. Mongolia adopted the "third neighbour" policy – seeking political, economic and cultural connections with partners other than Russia and China, particularly the US, EU, Japan and South Korea. With Russia in economic crisis in the late 1990s, China became the country's chief trading partner and a major source of foreign investment, much to the disquiet of the Mongolian public, who remained deeply wary of Chinese influence. When Putin came to power, he took steps to repair relations with Mongolia. He visited the country in 2000, the first Russian leader to have done so since Brezhnev. Three years later he wrote off nearly 98% of an $11bn (£7.3bn) debt that Russian had claimed it was owed from the Soviet era. In part this reflected Mongolian domestic politics. The Mongolian People's Revolutionary Party (shortened to Mongolian People's Party since 2010) had been the ruling Communist-style party in the Soviet era. Although rebranded as a moderate socialist party fully committed to a market economy, it retained a relatively pro-Russian stance. Nambaryn Enkhbayar, had the makings of a Mongolian Putin. He served as prime minister (2000-04) and president (2005-09). The personal chemistry between Enkhbayar and Putin was said to be good, and Enkhbayar took credit for the waiving of the national debt. However, the success of the more pro-western Democratic Party in presidential and parliamentary elections in 2009 and 2012 cooled relations with Moscow and strengthened third-neighbour policies once more. One of the country's most important economic prospects is the enormous copper and gold deposit at Oyu Tolgoi in the Gobi desert that has attracted the Anglo-Australian multinational Rio Tinto. The prospect of a mining boom attracted other foreign investment and created high hopes for rapid economic growth. Yet wrangling between Rio Tinto and the government over the terms of the deal has stalled the development, slowed the economy and led to public disillusionment. The Democratic president, Tsakhiagiin Elbegdorj, has had to turn to his first and second neighbours for loans and bilateral trade agreements, receiving the Chinese premier Xi Jinping last August and Putin in September. Although China is by far the bigger trade partner, Russia remains the more popular of the two, and Putin played his hand well. He agreed to visa-free travel between Russia and Mongolia to widespread satisfaction. The Mongolian public retains a certain amount of nostalgic sympathy for Russia and this has been strengthened by the recent flight of western investment. Elbegdorj is now looking to Russia for further investment in the jointly owned railway network to benefit from continental trade with China. Neither the crisis in the Ukraine nor the Western chill towards Russia has had a serious impact upon Mongolian relations with its onetime Soviet ally. He may be persona non grata in Kiev, but Vladimir Putin is far from unwelcome in Ulaanbaatar." To read previous instalments from our Russia's borders series, click here. David has received research grants from a number of funding councils, most of which are concerned with Mongolia. None are directly related to the subject matter of the article. The closest, in terms of topic, is a 2010 ESRC Research Grant as PI for a one-year project entitled "Where Empires Meet: The Border Economies of Russia, China and Mongolia" (Rising Powers Networks scheme). Ulaanbaatar, January 28 (MONTSAME) Head of the Presidential Office of Mongolia P.Tsagaan Wednesday received journalists and NGO delegation from the Republic of Kyrgyzstan. Beginning the meeting, Mr Tsagaan expressed his satisfaction with meeting the delegation from Kyrgyzstan, being coincided with welcoming the three millionth citizen of Mongolia. The Kyrgyz delegation requested Mr Tsagaan to convey a letter to the President Ts.Elbegdorj from Ms Roza Otunbayeva, a former President of Kyrgyzstan. At the meeting, the parties touched upon issues of the population growth, life expectancy, the women's role in political life, the migrants in Mongolia as well as a development of Mongolian movies. After the meeting, the delegation got acquainted with activities of the Civil Hall at the President, and they are interested in the civil participation in the budgetary expenses in localities and a development of direct democracy in Mongolia. January 28 (news.mn) Ulaanbaatar Cultural Days are now taking place in Taipei and Khulani in Taiwan. The event is being organized at the initiation of the Taiwanese Abbot of Vandana Monastery, the poet Yu Si, the Trade and Economic Representative Office of Ulaanbaatar in Taipei, the Ulaanbaatar Mayor's Office, and the and Cultural and Art Office of Ulaanbaatar. A concert by the ensemble "Ulaanbaatar" included long songs, throat songs, and Mongolian folk dance, followed by a classical art performance entertained audiences at the Ulaanbaatar Cultural Days. The 1,250 seat auditorium was full for the performance. Taiwanese attendees once imagined Mongolia as simply a steppe country with people riding horses, but the Ulaanbaatar Cultural Days have given them a better look at the city, and many want to visit. January 28 (infomongolia.com) Today on January 28, 2015, the third millionth citizen of Mongolia was officially announced and after delivering an online greeting, the state head of Mongolia Ts.Elbegdorj made a phone conversation with the baby girl's father E.Khatanbold and mother G.Azzaya to congratulate on the occasion, which was expected to date throughout the country. President Ts.Elbegdorj extended his profound congratulations to parents of the third millionth citizen and wished may the daughter fills their life with joy and love. Moreover, upon the request of a young couple, the President of Mongolia gave a name - MONGOLJIN to the millionth citizen of Mongolia. Ulaanbaatar, January 28 (MONTSAME) The three-millionth citizen of Mongolia who was born on January 24 will receive an apartment costing MNT 70 million. A decision on it was made by the cabinet in its irregular meeting held Wednesday in accordance with a governmental resolution. Accordingly, the apartment will be awarded to a girl named Kh.Mongoljin born to the family of E.Khatanbold, the father, and G.Azzaya, the mother. In addition, a single-benefit allowance of MNT 3 million will be given to 181 children each who were born nationwide on the same day of the three-millionth citizen's birth. An event will take place on January 30 in the Palace of Mongolian Children for glorifying the three-millionth citizen of Mongolia. Jan. 29 (Bloomberg TV) Mongoljin is a very special little girl, not only was she named by the Monglian President, she also happens to be Mongolia's three millionth citizen. An honour that comes with some very lucrative perks. Bloomberg TV Mongolia's Duuya Baatar reports. January 28 (gogo.mn) Sofosbuvir to treat the Hepatitis C infection has been officially registered in the Mongolian Drug Register almost after a year of delays. We have interviewed former Deputy Minister of Health and current City Council Representatives member, Head of the Food Safety and Health Standing Committee at the City Council J.Amarsanaa. Sofosbuvir tablets are now available for the public? Yes, it is now available, but under supervision of a physician. Minister of Health and Sports G.Shiilegdamba played important role in registering this drug. I am very glad that patients with Hepatitis C are now available to get effective treatment. Drug Council has approved the registration of this drug yesterday. What will be the price the treatment? The price for this drug has been politicized a lot. Three-month treatment is USD 900 and six-month treatment is USD 1800. Mongolian patients are identified to mostly have one B genotype hepatitis C virus, which is mostly cured over six-month treatment. But the treatment varies greatly depending on the individual cases. There are only two types of treatment drugs available: Peginterferon injection and Ribavirin tablets, combination of which have 76 percent success results. How many patients are there in Mongolia? There are around 450K patients with hepatitis C infection, but the first patients to receive the drug are to be critical patients. We have to prioritize the patients. Some might be confused as if thou there are only one treatment drug. There are many other drugs with similar treatment qualities and even higher. What is important here is to introduce those higher efficiency drugs into Mongolian market as well. It is time to discuss the policy on treatment of patients with hepatitis C.
Does it mean that patients can order this drug? Orders are to be received at the distributor company. Drugs to be supplied in accordance with orders made, so it might take some time. The producer Gilead Science is offering their drug with special pricing only for the Mongolian market, while in USA it is supplied with price tag of USD84K per treatment course. Therefore, Gilead Science is strictly requiring us to only use it within Mongolia, as it supplies the same drug with other pricing to the neighboring Russia and China. Effectiveness of this drug has been reported to be high as over 80 thousand patients have been cured after using the drug. National Program to Reduce the Hepatitis C Infection in Mongolia has been discussed multiple times at the Ministry of Health. There is need to continue the discussions and pay attention on registration of drugs, without politicizing it much. Is there possibility to include this drug into health insurance and insurance plans? It is possible. During my post as Deputy Minister of Health I have inquired about the possibilities with Minister of Population Development and Social Welfare S.Erdene. He was supportive of the idea and ready to cooperate. January 28 (ADB) ULAANBAATAR, MONGOLIA – The Government of Mongolia and the Asian Development Bank (ADB) have signed letters of agreement for two technical assistance projects to establish sustainable forest management and improve management of peatlands in Mongolia. The projects, totaling $2.4 million, are financed by grants from the Government of Japan through the Japan Fund for Poverty Reduction (JFPR). Minister of Finance Jargaltulga Erdenebat; and Minister of Environment, Green Development and Tourism Oyunkhorol Dulamsuren participated in the signing ceremony on behalf of the Government. ADB was represented by Ayumi Konishi, Director General of the East Asia Department. Shinichiro Hayashi, Counsellor, and Hiroshi Fukasawa, First Secretary, from the Embassy of Japan in Mongolia also participated in the event. The sustainable forest management project will benefit five districts in northeastern Mongolia. Rising temperatures from climate change together with the large amounts of deadwood in the forest put these areas at risk of forest fires, which claim about 60,000 hectares of the country's 10.8 million hectares of forest cover each year. The $2 million JFPR project will "develop capacity for sustainable forest management from ministry to local levels," Mr. Konishi said in a speech at the signing ceremony. "It will develop capacity of community-based forest user groups, in particular women, on forest management to improve their livelihood." The project will provide assistance to agencies managing forests, and to the forest communities that will derive income from activities that build climate resilience of the forest ecosystems. It will use technical skill training and pilot technical approaches to improve the access of forest user groups and households to income-generating activities. The other JFPR project—backed by a $400,000 grant—focuses on peatlands, the last wet habitats in a major part of the country. They present a host of benefits such as maintaining wet habitats and pastures, feeding rivers, preventing soil erosion, maintaining levels of groundwater necessary for forest and crop growth, and keeping wells full of water. During dry periods, which may continue for years, the moisture preserved in peatlands is a source of life and a barrier to desertification. However, information regarding peatlands in Mongolia is insufficient and poor, contributing to the lack of attention given to them in national development plans, and consequently the absence of action to arrest peatlands degradation. Through the project, ADB will work with the Government of Mongolia to "boost capacity of key stakeholders and improve the planning and implementation framework for peatland restoration and management in Mongolia," Mr. Konishi said. "A notable output of the JFPR-funded peatlands project is the development of a draft action plan with priorities for sustainable peatland management." June 12 (Open Society Forum) Advocacy groups and nongovernmental organizations in Mongolia have been working for many years to raise awareness about the challenges people with disabilities face participating in their communities. One of the results of this work is a push by policymakers to gather better data about disability in Mongolia so that policies and programs can become more effective. For the first time, the state census in 2010 included specific questions related to disability, which supported comparisons of access to public services, like education and health care, for people with disabilities and the nondisabled population. Any statistical information about people with disabilities before that had relied on one-time study, or education or health sector databases, each of which employed different methodology. The census runs every 10 years and will repeat these questions. The findings paint a bleak picture. The 2010 census data reports that 9,500 children below age 15 have disabilities, which constitutes 1.3 percent of all children under 15 years of age. This is consistent with demographic statistics internationally. However, half the people with disabilities from birth have no access to education, and most who have obtained educational credentials have completed primary education only. There is also a clear disparity in education access even among people with disabilities, which affects most negatively the 40 percent of people with disabilities from birth. Finally, out of about 20,000 people with disabilities aged over 15, less than 20 percent are engaged in income-generating activity, which is 2.4 times lower than the overall Mongolian population. Despite absence of a media interest, NGOs, human rights groups, provincial governments and Ministries are using the census data in public discussions and for planning, especially because there is a designated Department for People with Disabilities at the Ministry of Population Development and Social Protection, created in 2012. The Open Society Forum in Mongolia is working to advance the inclusive education agenda. When we started working in this field, we realized that there were multiple sources of information about children and youth with disabilities, and they were all separate, stand-alone pieces. For the factsheet above, we looked at three different sources, including the thematic reports Children and Youth and People with Disabilities, released by the National Statistical Office after the 2010 census, and the statistical data available publicly on the Ministry of Education's official website. We wanted to make these stats easily accessible and understandable, so that we and others can use it. Long-term goals in addressing education and health policy for children with disabilities include improved and coordinated early intervention as key reforms. This requires development of classification, screening, and service referral for children with disabilities or potential delays in development based on a social approach to disability. The current medical approach sees disability as a condition that prevents participation in society that should be treated. By contrast, a social approach identifies barriers to participation that can be changed or adapted to meet the needs of the entire community. We also hope to redeploy the resources and expertise from the small number of segregated, special schools based in the capital to support meaningful integration of children with special needs in the mainstream school system through flexible provision of services based on needs and interests of the child/ his family. January 27 (The Sheep Site) Mongolia has launched a mass vaccination scheme after witnessing its first cases of sheep and goat pox for nearly two years. One outbreak of the capripoxvirus has been reported by the World Organisation for Animal Health in nine sheep, all of which have been destroyed. Control measures have included movement restrictions and the vaccination of over 38,000 sheep in the Sukhbaatar region, in the east of the country. Forensic examination to be made on well preserved remains of possible Lama teacher. January 28 (The Siberian Times) This extraordinary picture shows the mummifed male body which is believed to be several centuries old. It was found at 6.30 pm 27 January 2015 in Songinokhairkhan province, reported Mongolia's 'Morning Newspaper'. 'The mummified body sits in a lotus position, as if still meditating. 'Experts that only had time to carry basic visual test say they believe the body can be about 200 years old'. The report added: 'So far there is no information as to where the body was found. The only details we learned was that it was covered with a cattle skin'. It was not clear if it was the skin of a cow, horse, or camel, said the report. The mummy was delivered to Ulaanbataar National Centre of Forensic Expertise'. Initial speculation is that the mummy could be a teacher of famous Lama Dashi-Dorzho Itigilov. Dashi-Dorzho Itigilov, born in 1852, was a Buryat Buddhist Lama of the Tibetan Buddhist tradition, best known for the lifelike state of his body. His remains were reported not to be subject to macroscopic decay. Genghis Khan's Descendants: Are You Related To The Mongolian Ruler? January 28 (IB Times) Millions of men in Asia can trace their ancestry 800 years back to Mongolian conqueror Genghis Khan, but what some may find surprising is how the great khan's lineage over that time has continually been able to produce sons and continue the heritage, according to researchers. Genghis, however, who died in the year 1227, was not the only one boasting a wide family tree. Scientists announced over the weekend nine other extraordinarily fertile and powerful men who have helped populate swaths of Asia. "Lots of men have lots of sons, by chance. But what normally doesn't happen is the sons have a high probability of having lots of sons themselves," Mark Jobling, a geneticist at the University of Leicester in England, told weekly science journal Nature. "You have to have a reinforcing effect." Genghis Khan's genetic legacy was first discovered in 2003, when Chris Tyler-Smith, an evolutionary geneticist, discovered that 8 percent of men in 16 populations spanning Asia, or 0.5 percent of men worldwide, shared nearly identical Y chromosome sequences. Genghis had four legitimate, acknowledged sons, but probably many more. Y chromosomes are directly passed down from father to son. A male has the same Y chromosomes as his father, grandfather, and so on, barring minute mutations that take place each time the chromosome is replicated and passed down. Since 0.5 percent of men worldwide have nearly identical Y-chromosomes, this means that these men can trace their lineage to Genghis Khan 800 years ago, according to the researchers. Jobling's team, however, has now identified nine other men who could have similar successful Y-chromosome lineages throughout Eurasia. One of them is Qing Dynasty ruler Giocangga, who died in 1582, before the Qing conquered China, and another from the medieval Uí Néill (O'Neill) dynasty in Ireland. The 10 men's genes were found to have proliferated from Western Europe to Southeast Asia dating between 2100 B.C. and A.D. 700. Of the list, Genghis Khan's and Giocangga's lineages stood out, according to Jobling's report in the European Journal of Human Genetics, but Jobling said that the dates have a wide margin of error, according to Nature. Establishment of such successful lineages often depends on social systems that allow powerful men to father children with multitudes of women, such as harems. Some lineages seem to have expanded westwards, possibly along the Silk Road trade route, according to the research. In some cases, Jobling said, sons may have been relegated to satellite outposts, where they, in turn, fathered incredibly fertile male children too. Nature reported that more research is needed still, according to Jobling's team, and recovering DNA from the suspected ancestor would be the ultimate proof to seal their research. "Looking for these links is fascinating. When we did it, we were using pretty indirect lines of reasoning, and you could try and do that with each of these lineages," says Tyler-Smith, according to Nature. "What I really hope is that at some point someone will find Genghis Khan's tomb and remains."